Great Taste 2018 Winner. British milk. Good source of protein. Natural ingredients. Thick 'n' creamy. Gluten free. Vegetarian friendly. Lover of thick 'n' creamy yoghurt the way it should be? If so, then Straight Up is the natural choice for you! This super versatile yoghurt is divine on its own, paired up with fruit or granola or for baking, marinades, dips & dressings and smoothies. 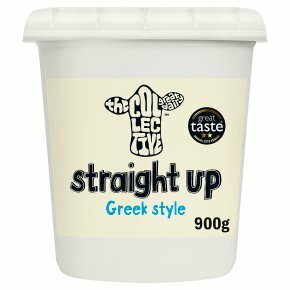 Why call it Straight Up? Well that's just our way of saying honest, no bull...naturally!